Trevor is an Associate Professor in aeronautical engineering at the University of Limerick (UL). He holds postgraduate degrees (Ph.D. and M.Sc.) from Cranfield University, UK. Trevor has over thirty years’ experience, working and teaching in this field. After graduating in 1983, he worked in the aviation industry in South Africa, Switzerland, Israel and Ireland. Prior to joining UL in 1993, he was Technical Manager at an aerospace SME company, based in Shannon, Ireland. As Course Director at UL, Trevor played a key role in the establishment and professional accreditation of the first B.Eng. Aeronautical Engineering degree programme in the Republic of Ireland. He later served as Head of Department (Mechanical and Aeronautical Engineering). His main teaching subjects are Flight Mechanics, Aircraft Design and Fleet Planning. Trevor has a keen interest in general aviation (he holds a private pilot’s license). His research interests include the behaviour of composite material structures (for aeronautics and wind energy applications) and aircraft design technologies for reduced environmental impact (e.g. hybrid laminar flow control). For more than 15 years, he was Co-Director of the Composites Research Centre at UL, a successful research centre that he was instrumental in establishing. From 2006 to 2009, he led an initiative to establish the first national centre for composite materials research in Ireland. The Irish Composites Centre (IComp) was created in 2009 with an initial state grant of 5 M€. He has been a member of the IComp Central Steering Committee and he was the academic lead for the 6.8 M€ state grant that was received for IComp Phase 2 (2015–2019). Trevor has developed experimental techniques to study water droplet impact erosion of aircraft and wind turbine leading edges. Trevor has been the recipient of over 40 research grants and contracts. Funding has been received from the European Commission (EC), the Irish state and private companies. He acts as an Expert Evaluator (of research proposals) for the EC. Since 2015 he has served as a member of the Clean Sky Scientific Committee (Brussels). In this capacity, he works as an Expert Reviewer of multinational aeronautics research programmes funded under Clean Sky 2. Trevor has published, as author or co-author, over 100 technical papers (incl. 52 peer-reviewed journal articles) and 10 book chapters. He is a co-editor of Innovation in Aeronautics (Woodhead, 2012). 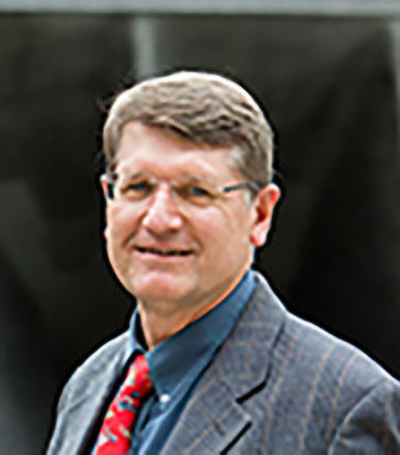 He has written two books: Technical Writing A-Z: A Commonsense Guide to Engineering Reports and Theses (ASME, 2005) and Performance of the Jet Transport Airplane: Analysis Methods, Flight Operations, and Regulations (Wiley, 2017). Young, T (2005) Technical Writing A-Z: A commonsense guide to engineering reports and theses. US Edition. Three Park Avenue, New York: American Society of Mechanical Engineers.